Knowing more about all the types of care that are available to you may help you decide what seems best for your child. It will also give you more choices when you need to find backup care, when your child grows older and needs or wants a different kind of care, or if your work schedule changes and you need to make new care arrangements. 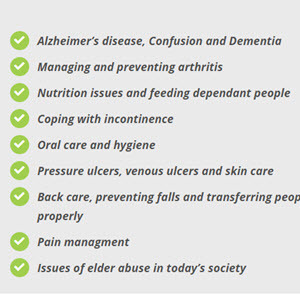 It is important to remember that all of the forms of care described here have advantages and disadvantages, and that within each you are likely to find a tremendous range of quality. You may find safe, nurturing, educational care in any one of the different types of care in your community, and you may find care in that same type that's of such poor quality that it could be harmful to a child. Family child care homes typically care for up to six children, including the caregiver's own young children. The care is offered in the home of the person who provides the care, who is often called a provider. Large family child care homes, an option in some states, usually have one caregiver and one assistant providing care for 7 to 12 children in the home of the caregiver. Child care centers offer care to groups of children in a facility that isn't the provider's home. They are often open all day, year-round, to cover the hours needed by working parents. They offer children a place to play and learn away from home, with staff who are trained in child development. Most serve children from 3 to 5 years old. Some are designed just for infants, or just for school-age children. Others combine these different age groups. Some full-day child care centers offer part-time options for parents who don't need full-time care for their children. Part-day child care centers, often called nursery schools or preschools, are for children 3 to 5 years old and generally offer a program of educational activities for only three or four hours a day. They are usually open only during the school year. Often registration begins in January or February for September enrollment. In-home care is child care provided in your own home by someone you have hired—perhaps a nanny, a student, a foreign au pair, or a sitter. In-home care may be provided by someone who comes in every day, or by someone who lives in your home. Although in-home care can be the most flexible and convenient type of child care, it is usually the most expensive. Some people find their caregivers by word-of-mouth or advertising, while others work with a nanny placement agency. Many parents rely on extended family, friends, or neighbors for child care, in informal arrangements that fall outside the scope of state regulation and licensing. This may include a grandparent who watches your child for a couple of hours every afternoon, or a neighbor who cares for your child while she's home with her own children. Parents who work evenings and nights often rely on family and friends to provide a safe place for their children overnight or during the evening or early morning hours. Many parents rely on family and friends as one element in a combination of child care arrangements, using grandparents two days a week, for example, and taking a child to a nursery school the rest of the week. Finally! You Can Put All Your Worries To Rest! 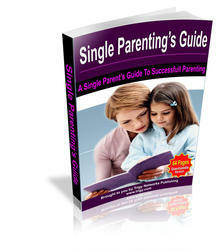 You Can Now Instantly Learn Some Little-Known But Highly Effective Tips For Successful Single Parenting! Understand Your Role As A Single Motherfather, And Learn How To Give Your Child The Love Of Both Parents Single Handedly.